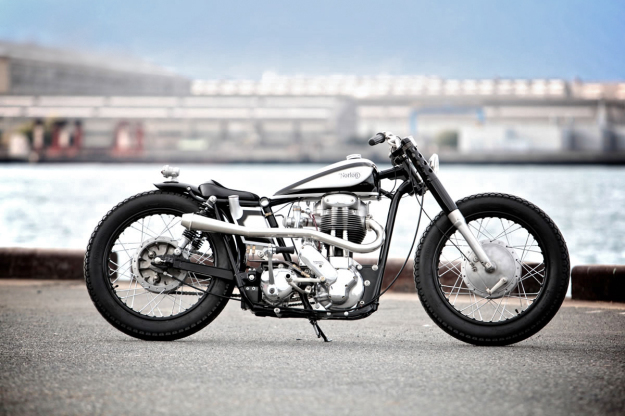 The country with the most influence on the modern custom scene is Japan. The machines we loosely call ‘café racers’ actually have more in common with the Japanese style of bike building than the British originals of the 1960s. 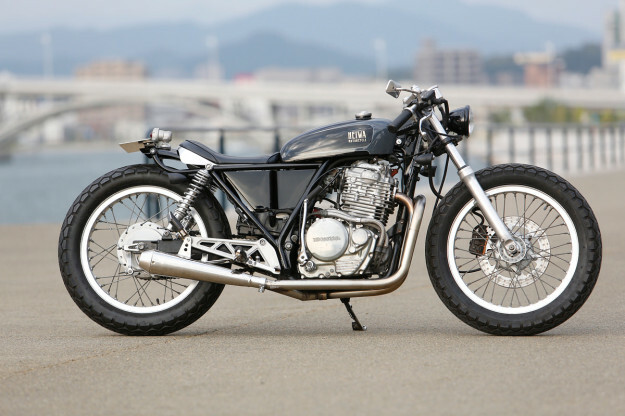 A handful of Japanese shops are on the radar in the west, notably Zero Engineering, Brat Style and Ritmo Sereno. But most are relatively unknown, because Japan is still a closed book to a lot of the western world. 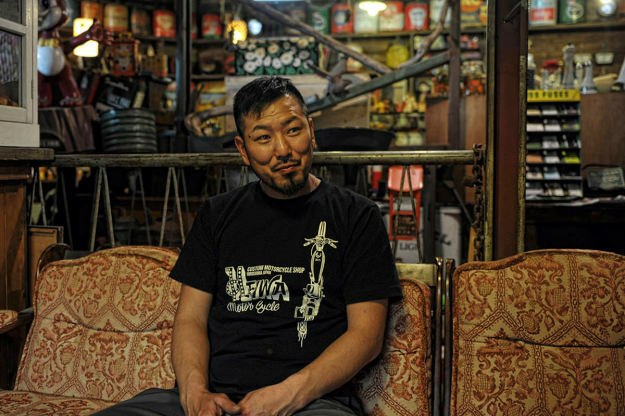 One of the most respected Japanese workshops is Heiwa—meaning ‘Peace’—run by Kengo Kimura (below). It’s in Hiroshima, a four-hour trip from Tokyo on the super-fast Shinkansen bullet train. 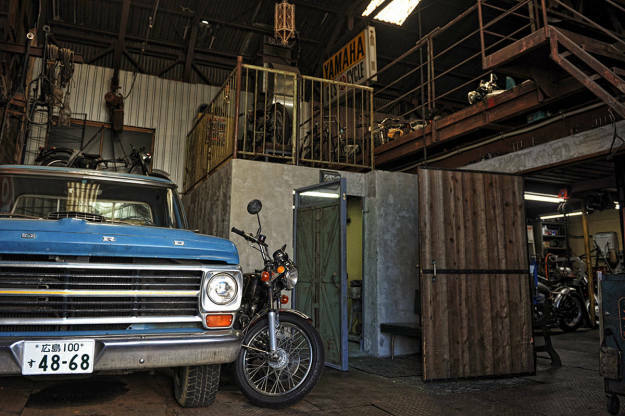 We caught up with him to find out a little more about his shop and how he operates. How long has Heiwa been running? Just over nine years: we opened on April 9, 2005. When did you become interested in bikes? Very early, while in elementary school. My big brother read motorcycle magazines, and then I read them all too. 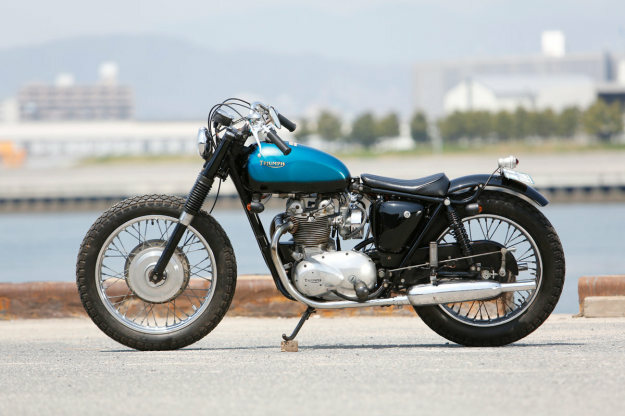 I thought they were so cool, and ever since then I’ve been a big fan of motorcycles. What’s your location like? Our first workshop was in the center of Hiroshima City, but it was inconvenient. So we relocated to our current place, which is in an industrial area near the port. It’s now easier to get the materials we need for custom work, and we’re near the sea and many great roads. This area is more fun for riding motorcycles. Who do you work with at Heiwa? We have two mechanics, Daisuke Noda and Ryusei Tasaki. Then we have Lou, who is our pinstripe artist. 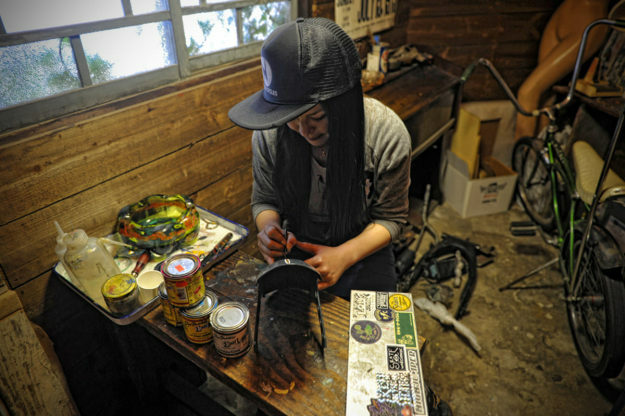 She also manages the shop, and her own miscellaneous goods shop Poppo, which is next door. They’re all custom motorcycle fans, who became fans of Heiwa and wanted to work here. So the four of us now run Heiwa together. What kind of people visit? Can you categorize your customers? I would describe them as diverse. There are many motorcyclists who are interested in culture and fashion. 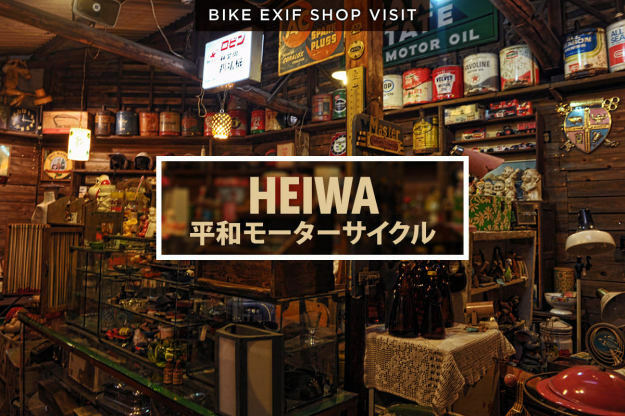 What are the most popular products that you sell at Heiwa—apart from the bikes? Our own brand of t-shirts—and our Original Tail Lamp. 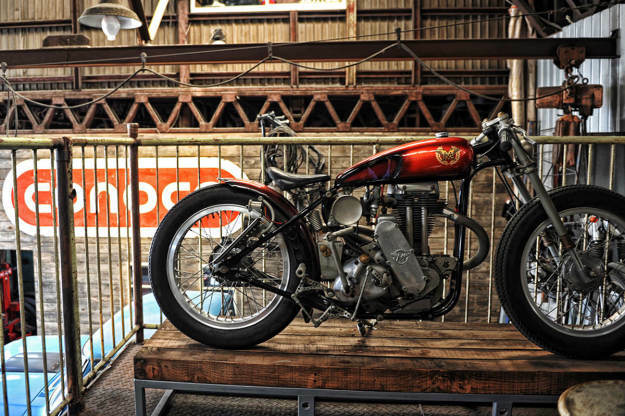 How did you get into the custom motorcycle business? 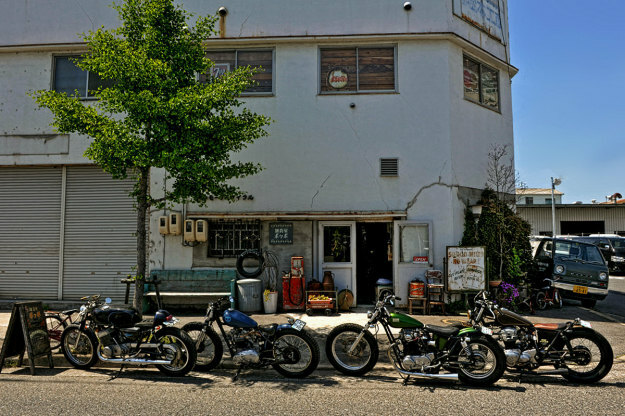 Before opening Heiwa, I managed a conventional motorcycle shop. Their main business was selling new motorcycles, so I produced custom parts to fit those bikes. So what’s next for the Heiwa brand? Any plans for expansion? I hope to increase, little by little, sales of our original custom parts. And I’d like to exhibit in custom shows overseas. We’re heading over to Japan for a visit. What are your opening hours? We’re open from ten o’clock in the morning until eight o’clock at night, every day except Tuesday and Wednesday. 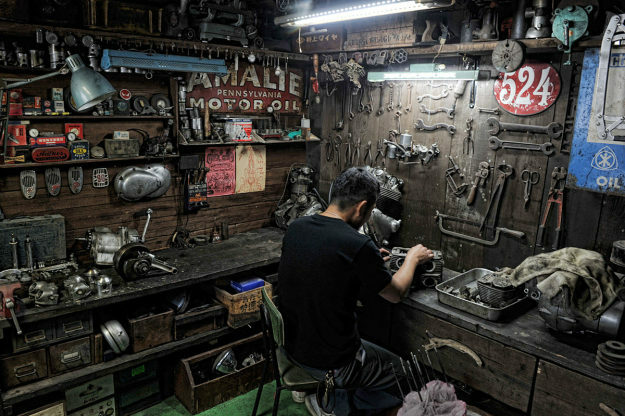 Images for Bike EXIF by Hiro Arimori. With thanks to Tadashi Kohno.